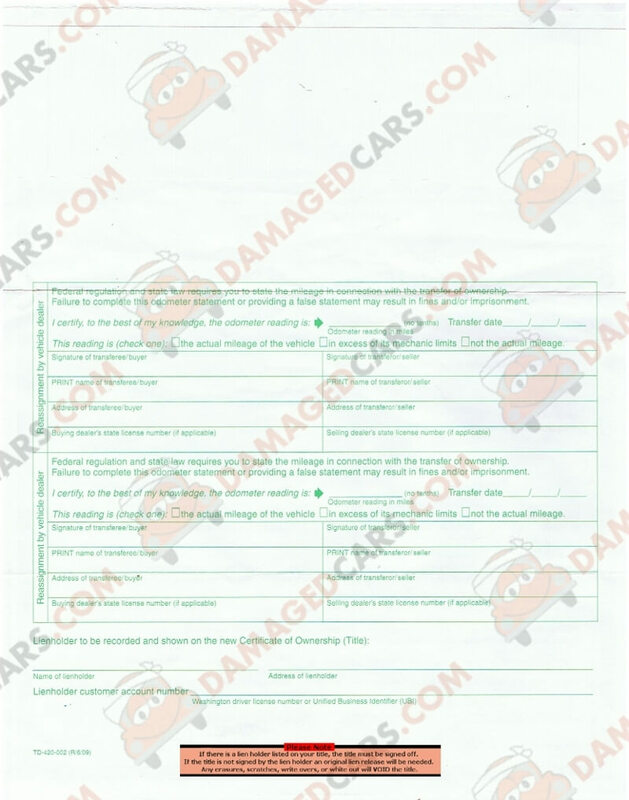 Washington Car Title - How to transfer a vehicle, rebuilt or lost titles. Washington Motor Vehicle Title Instructions. Where Do I Sign a Washington Title? The Washington title has two locations that require a signature. Both locations are on the front of the title.The first location in in the center of the title on the right side. This location is marked "SIGNATURE OF REGISTERED OWNER". There is also a place for a second owner immediately below the first owners signature. The second signature location is also on the front of the title, on the lower right side.The second location is marked "SIGNATURE OF TRANSFEROR/SELLER Please do not sign in any other location. Be Accurate When Signing Your Vehicle Title! It is important to be prepared when you are ready to sign a car title. The sellers name MUST match the name of the owner(s) on the front of the title. Verify your are signing correctly BEFORE signing the title! Incorrect signatures, signatures in incorrect locations, erasures and mark outs may void the title. Can I Sell a Car in Washington Without a Title? The Washington DMV requires a title to sell a vehicle. Other vehicles that can be difficult to sell. 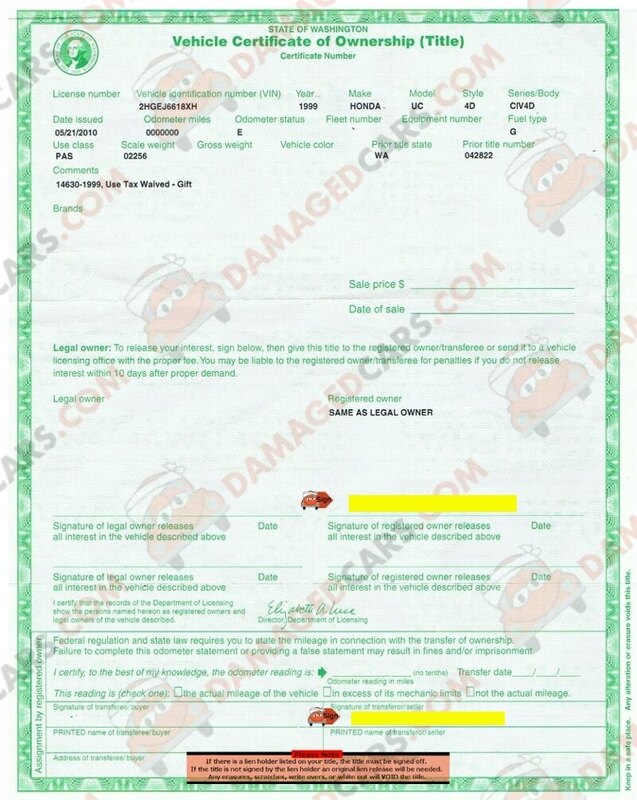 Enter your information above to get your quick "no obligation" offer from DamagedCars.com today.